An LLC is a business structure that provides its members tax and liability benefits. Filing LLCs is a state-specific process, so it’s important to draft accurate articles of organization with your state. You can file an LLC yourself, but we recommend hiring an attorney or legal service to show you how to set up an LLC. LegalZoom, for example, is a legal service that helps you with the LLC filing process and offers additional services to streamline tax, compliance, and legal matters. Check out LegalZoom’s full range of services to form your LLC in less than 15 minutes and for between $79 and $349, depending on your preferred timeline. The first step in forming an LLC is choosing a unique name and confirming it’s available in the state where you’re organizing. Determine whether your LLC name is available by checking your Secretary of State’s website or using LegalZoom’s search feature. LegalZoom will perform a state-wide search and determine whether your desired LLC name is available. Be unique – The name of your LLC shouldn’t be similar to an existing LLC in your state. Don’t confuse customers – Do not give your LLC a name similar to a competitor’s with the intent of confusing the public and trying to get their customers. Avoid restricted terms – Your LLC name should not include restricted words, like “bank” or “insurance.” Check your Secretary of State’s website for a list of restricted words. In addition to basic, state-specific naming requirements, there are some common pitfalls to avoid when naming your LLC, such as choosing a name that’s already trademarked or not available for a domain name. Make sure you understand all of the things to avoid before choosing a name that may cause problems for your business. Negative – Don’t choose an LLC name that has a negative connotation in English or other languages in which you’ll market your product or service. Confusing – Make sure your LLC’s name is not confusing or easy to confuse with one of your competitors. Too specific – If you choose a name that is specific to a location, like “San Francisco CPAs,” you’ll encounter issues if you expand to another market. Not available online – Check the availability of an appropriate website domain name before choosing a name for your LLC. Already trademarked – Remember to check the Trademark Database to make sure someone isn’t already using your name. 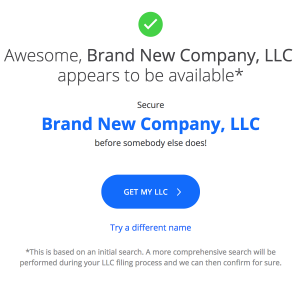 If you need help coming up with your name, check out our guide to naming your LLC. It’s there you’ll find tips on choosing a name as well as our business name generator if you’re in need of extra inspiration. A statement of purpose states why your company is in business and is required when forming an LLC. Many states just require a general statement of purpose, but some require specific language. LegalZoom shows you how to set up an LLC by drafting a statement of purpose that meets state-specific requirements and helps avoid issues down the line. Drafting a statement of purpose may seem like a simple process, but an LLC can be dissolved if it fails to follow the purpose statement that is on file. In most states, the purpose can be something like “This LLC exists to provide any and all legal business functions in the state.” Broad language allows your LLC to expand without outgrowing the scope of your statement of purpose. Other states, like California, require you to include exact language in LLC organization documents. This language is already included in the LLC filing forms, so you won’t need to add your own purpose. However, it’s important to understand how to set up an LLC within your filing state, and LegalZoom makes this easy by automatically drafting an appropriate statement. Whether your LLC will hire employees determines your need for an Employer Identification Number (EIN) and defines your LLC’s payroll and tax obligations. If you plan to hire employees, you’ll need an EIN so the IRS will recognize you and so you can meet payroll and other tax obligations. This includes paying payroll taxes and carrying workers compensation insurance. If you don’t plan to hire employees, you may not need an EIN. For example, a single-member LLC that is treated as a sole proprietorship by the IRS and doesn’t have employees may not need an EIN. Though you can use your Social Security number to identify the LLC for tax purposes, you should still get an EIN to protect you from security concerns. Not hiring employees will also enable you to avoid payroll taxes and other expenses related to employees. Hiring employees has tax implications that will affect your day-to-day operations, tax obligations, and recordkeeping responsibilities. Because of these complexities, we recommend hiring an attorney or using LegalZoom to help understand your LLC’s obligations and make the right selection. If you indicate you’ll hire employees, LegalZoom will request the appropriate information to complete your filing documents. You can always change your mind later, but make a decision about employees early on to understand the filing requirements for your LLC and comply with IRS regulations from the beginning. Registered agents are businesses or individuals to whom the state sends important documents like tax notices and summons. Agents are required in most states, but qualifications differ. Choose a business partner, commercial registered agent service, or another reliable person within the state’s boundaries to serve as your LLC’s registered agent to ensure you receive important documents. Even if your state doesn’t require a registered agent, you should select one to receive important documents and make sure you don’t miss important deadlines. Though you can use a business partner or friend, hiring a registered agent service provides a professional, reliable contact for your business. Registered agent services generally cost from $49 to $175 annually, depending on the extent and quality of services. 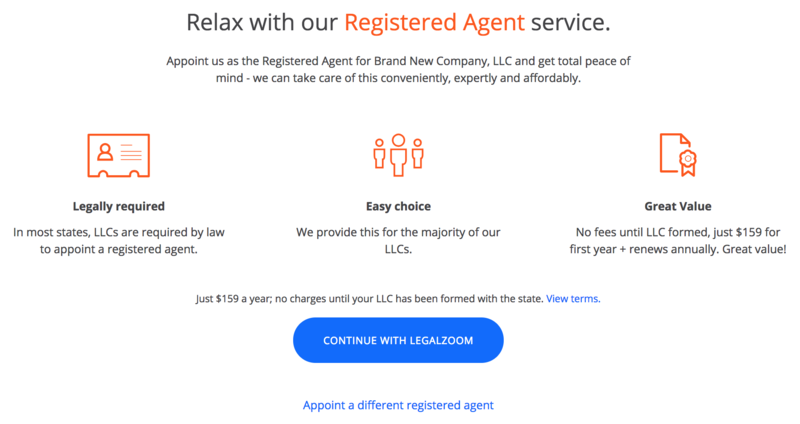 It isn’t difficult to select a registered agent, but you can save time by choosing LegalZoom’s service for $159 per year. Using LegalZoom’s registered agent service is also a great way to keep all of your legal services in one place. If you prefer to choose your own registered agent, check out our how-to guide to choosing a registered agent for information on finding and choosing a registered agent. When filing your LLC, you may also need an operating agreement to formalize your company’s structure, an EIN to hire employees, or licenses to operate your business. Though not required for every company, these additional documents may be necessary for your LLC. Review your company’s needs and review LegalZoom’s three options for additional document preparation. You can apply for an EIN online for free, but if you need licenses or an operating agreement, we recommend hiring a local attorney to assist you with the filing process. However, if you want to save time and money, LegalZoom offers three add-on options from $99 to $199 to meet these needs. Operating agreements describe how businesses run and help avoid or resolve company disputes. Though most states don’t require LLCs to formally file operating agreements, many require you to have one on file with your business. Get an operating agreement to formalize your management structure and avoid the state-specific default rules for LLCs that don’t have one on file. Regardless of what your state requires, we recommend drafting an operating agreement for your LLC to formalize your management structure and eliminate uncertainty. You can purchase an operating agreement through LegalZoom for $99 when you’re filing for an LLC. However, if you decide later that you’d like LegalZoom to help with your operating agreement, you can always purchase the service through your online account. We recommend having an operating agreement for your LLC, but don’t recommend drafting it without the assistance of LegalZoom or an attorney. However, if you choose to go it alone, check out our guide to drafting an LLC operating agreement, which includes a free template to navigate you through the process. If you elect to be taxed as a corporation or hire employees, your LLC will need an EIN. Though single-member LLCs without employees can use a Social Security number instead, using your social can expose you to security issues. Obtain an EIN for free from the IRS or save time by letting LegalZoom apply for you. Though you can obtain an EIN for free by filing Form SS-4 with the IRS online, LegalZoom will procure an EIN for your LLC and draft an operating agreement for $159. This is a great option if you want LegalZoom to draft an operating agreement for your company and also pay for the convenience of them obtaining an EIN for you. If you’re not sure whether you need an EIN or you want to apply for one yourself, visit our guide to employer identification numbers to learn more about EINs and how to obtain them. Depending on the type of company you are organizing, you may need to apply for certain business licenses. For example, businesses like spas and salons, restaurants, and liquor stores all face extensive licensing requirements. We recommend hiring a local attorney with specialized knowledge of your industry, but choosing LegalZoom’s service can help you save money. Though it is possible to identify and acquire the necessary licenses yourself, it’s a complicated and confusing process—and one that must be done correctly. For $199, LegalZoom provides the license application forms for your business and assists with their completion. Because LegalZoom doesn’t complete the forms for you, their service won’t save you much time, but they do provide valuable attorney support if you encounter questions along the way. 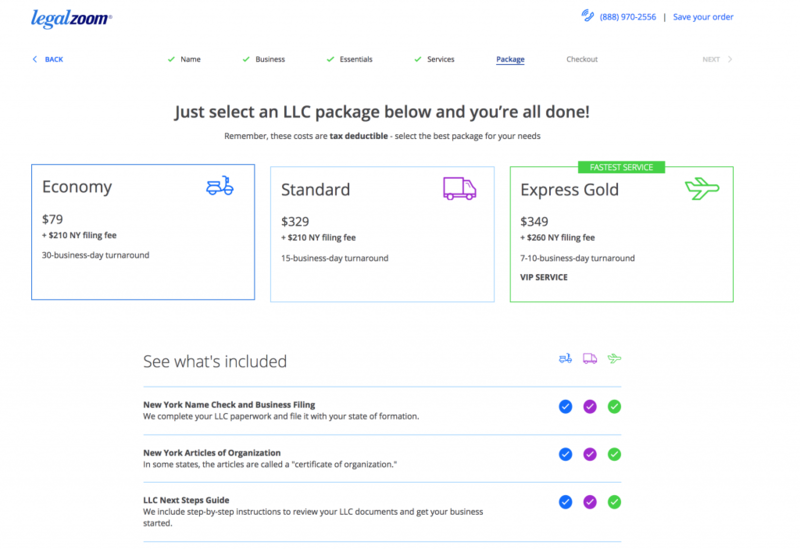 Base prices for getting a LegalZoom LLC range from $79 to $349, plus filing fees and add-on services. Turnaround times range from 7 to 30 business days, depending on the package, but your Secretary of State’s Office can lengthen these times. If you’re in a hurry, opt for Express Gold, featuring rushed processing by the state. LegalZoom’s Economy package costs $79 plus state filing fees. The standard turnaround time is 30 business days, and the package includes a name search, articles of organization, customer support, and other basic features. This is a great option if you need an LLC but are on a tight budget and aren’t in a hurry. The Standard package costs $329 plus filing fees. Beyond the economy services, you’ll get an organizer, 20 membership certificates, and an official seal. The package also includes LegalZoom VIP Processing, making the average turnaround time 15 business days. This is best for business owners who want additional perks but aren’t in a hurry to organize. LegalZoom’s Express Gold option costs $349 plus filing fees. The Express Gold package includes priority processing by the Secretary of State’s office, so the advertised turnaround time is only seven to ten business days. Choose this option if you want to organize as soon as possible and need priority processing from the Secretary of State’s Office. The final details required to set up an LLC vary among states. Research filing requirements on your Secretary of State’s website or hire an attorney to guide the process. 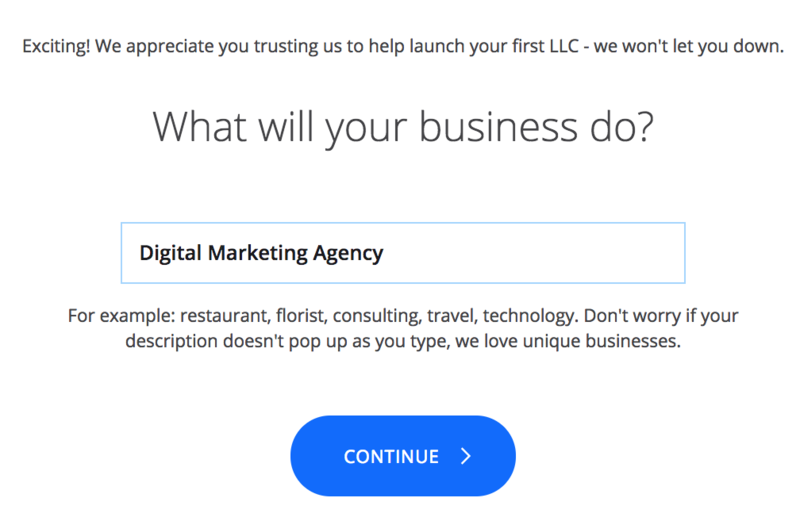 If you instead set up an LLC on LegalZoom, you’ll be asked to provide state-specific information after you select a package and provide a payment method. Business address – Provide the address of your primary place of business. If there are state-specific requirements, LegalZoom will list them. Whether you’re a licensed professional – If you’re a licensed professional in a field like medicine, law, accounting, or architecture, you’ll need to form a Professional LLC. End of your fiscal year – Choose a date on which your fiscal year will end. Generally, this is December 31st. However, if your business receives a large portion of its revenue at a specific time of year, another date may be appropriate. Dissolution date – If you have a short-term business, such as one formed for a specific event, choose a dissolution date. Otherwise, your LLC does not need an established dissolution date. Owner names – Provide the name of each owner of your business. If it’s just you, enter your name only. Ownership interests – Detail whether ownership is measured in percentages or units. Then list each owner’s interest and choose the type of owner consent required for transfer of ownership. Management structure – Indicate whether your LLC will be member-managed or manager-managed by a group of owners or a third-party manager. This will determine who can open bank accounts, write checks, sign contracts, and otherwise bind the LLC. EIN information – If LegalZoom is obtaining an EIN for your LLC, provide information about the nature of your business. If you chose to obtain an EIN on your own, you’ll provide this information as part of that process. Contact information – Provide the name, phone number, and Social Security number of one of the LLC’s owners, managers, or president for the IRS. Depending on your state of organization and complexity of your company, you may need to provide several details to complete the LLC filing process. If this is your first LLC or you’re not sure how to assign ownership interests or choose a management structure, use LegalZoom to make sure you include the right information in your LLC filing materials. Beyond filing materials with the Secretary of State, drafting legal documents, and providing a registered agent, LegalZoom offers optional tax, legal, and compliance support. These services provide professional insight into the responsibilities you’ll face after your LLC is formed. Consider these services if you need extra help but don’t want to pay hourly attorney fees. Each service starts as a 30-day trial and automatically renews for $320 per year after that. We recommend hiring an attorney to handle complex tax and legal matters, but hourly legal fees can range from $150 to $500 or more. LegalZoom’s add-on services are a great option if you’ll need several hours of tax, legal, and compliance support but don’t want to incur substantial CPA and attorney fees. LLC Business Legal Plan – LegalZoom can’t replace a traditional attorney, but their Legal Services add-on can provide legal guidance from licensed attorneys across the country. Opt for this service if you think you’ll need assistance with document review or may have questions about the various legal issues that small businesses face. Essential Compliance & Tax Preparation Package – With the compliance and tax preparation add-on, LegalZoom helps you structure your LLC for tax purposes and maximize business-related deductions by providing tax consultations with licensed professionals. They’ll also send filing deadline reminders and create and file annual reports and business income tax returns. This is great if you need help filing and maintaining annual reports, tax returns, and meeting minutes, but don’t want to pay for a CPA or attorney. The complexities of LLCs continue after filing is complete. Without the guidance of an attorney or CPA, legal issues and questions arising from tax preparation and compliance can plague a business. Check out LegalZoom’s additional LLC services if you need assistance beyond the filing process but don’t want to pay for a tax or legal professional. 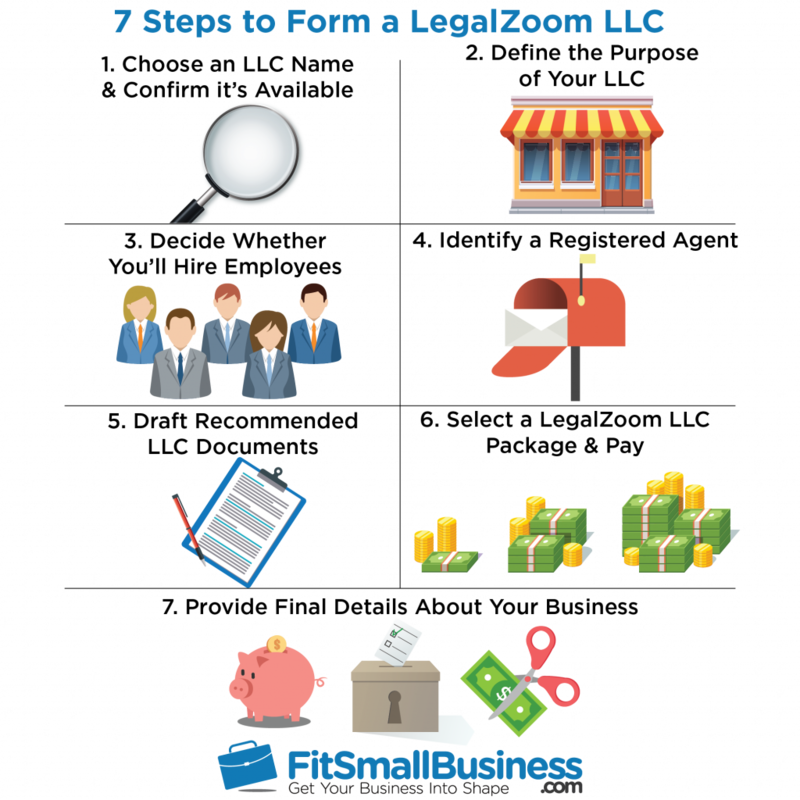 LegalZoom is an excellent tool for forming an LLC, but it isn’t the best choice for every small business. Though LegalZoom can save you time and money, the process may still be confusing and it can’t replace an experienced attorney. Understand the pros and cons of forming an LLC with LegalZoom before relying on their services. Full service – If you choose LegalZoom’s add-on services, the website can help you with everything from your initial filing to tax, legal, and compliance matters down the road. Saves time – By handling the paperwork for forming your LLC and providing additional support services, LegalZoom saves you time and allows you to dedicate your energy to building your business. Less expensive than hiring an attorney – Attorneys often charge between $150 and $500 or more per hour. Using LegalZoom to organize your LLC and handle other legal matters can save you and your business money. Provides additional support and important reminders – Beyond showing you how to set up an LLC, LegalZoom’s add-on services can help you remember important filing dates and answer questions about operating your business. Limited expertise – Nothing can replace the expertise of a qualified attorney. More expensive than some other services – The cost of forming a LegalZoom LLC ranges from $79 to $359 plus filing fees. Other websites provide similar services for filing fees only (as part of a trial) or from $49 plus filing fees. Longer turnaround times – Though LegalZoom offers seven- to ten-business day turnaround times with their Express Gold package, many customers report long processing times and slow service. Potentially confusing – LegalZoom’s add-ons are helpful but can be confusing if you’re not sure what services you really need to form your LLC. Plus, the pricing structure can be confusing if you opt for add-on services, like a registered agent or tax consulting. Limited customer support – Customer reviews reveal that customer support can be unhelpful or difficult to reach. Our LegalZoom LLC review guide gives LegalZoom two out of five stars after over 20 ratings and allows consumers to rate LegalZoom’s services based on overall experience, price, ease of use, and customer service. Though some customers feel that LegalZoom’s platform is easy to use, many have experienced trouble with customer service and timeline expectations. LegalZoom has an A+ ranking and an average of 3.73/5 stars through the Better Business Bureau and has 3.5 stars on Sitejabber. However, many customers have experienced problems with turnaround times, fee transparency, and customer service. Familiarize yourself with customer reviews to decide whether LegalZoom is a good fit for your small business. Is an LLC Right for My Business? An LLC is a great way to protect members of your small business from personal liability for actions and debts of the business. LLCs can also choose to be taxed at the member’s individual tax bracket, rather than the company’s. File as an LLC to retain a more flexible business structure while enjoying liability and tax benefits. How Long Does It Take to Set Up an LLC? 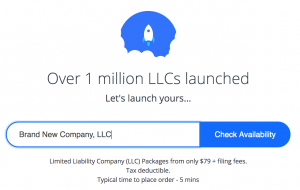 It takes under 15 minutes to start forming an LLC on LegalZoom, and processing takes from 7 to 30 days, depending on the package. Select “Economy” for 30-day processing, “Standard” for 15 days, and “Express Gold” for 7 to 10 days. Just remember your Secretary of State may extend this timeline if they have a backlog. How Do I Get an LLC for My Business? One way to file an LLC is to prepare and submit the documentation listed on your Secretary of State’s website yourself. If you need help filing but don’t want to hire an attorney, try a legal services website like LegalZoom. LegalZoom offers numerous business services to prepare and file everything you need to form an LLC. 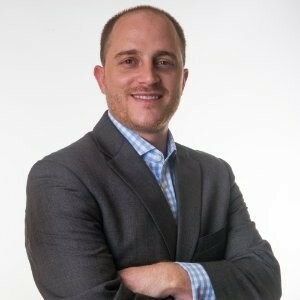 How Much Does a LegalZoom LLC Cost? The cost of forming a LegalZoom LLC ranges from $79 to $359 plus filing fees, depending on the package you select. Filing fees differ between states, but average between $50 and $500. LegalZoom offers add-on services at additional costs ranging from $199 per year for a registered agent to $320 per year for tax, legal, or compliance services. To set up an LLC, you’ll need to understand state-specific requirements, tax obligations, and other complicated issues like management structure and licensing. You can file for an LLC yourself, but the process is time-consuming and confusing. Save money on legal fees by forming a LegalZoom LLC in about 15 minutes for $79 to $359 plus filing fees. Because the process of forming an LLC is complex, we recommend hiring an attorney. However, if you don’t have room in your budget for legal fees, LegalZoom can help you form your LLC by drafting and filing the necessary documents and providing support once your LLC is up and running. Does Legal Zoom also offer details on Estate planning and other services for retirement. Yes, LegalZoom offers assistance with estate planning but we have not reviewed those services or, more importantly, whether those services would be sufficient for small business owners. We’ll be researching and writing more about these topics soon. We’ll updated this comment then. Do you have any opinions on the “up-sell” options legalzoom offers such as compliance oversight? Yes I do. I think they fall into two categories. The first is the things that you need to do which you can either do yourself or pay legalzoom to reduce the hassle. The second is the things you don’t need at all. Compliance oversight falls into the first category. You need to keep up your filings which you can certainly do yourself. However for $69 you can have legalzoom show you the calendar for when you need to file things, send you email updates when things are do etc. Wether or not $69 is worth it really depends on the business. If you are watching every dollar, then doing this work yourself (not very time consuming) is certainly doable. The second category is things like ordering the delux llc kit which includes membership certificates and a corporate seal. You don’t need either of these things, some people just like to have them as it makes them feel more official. I would not purchase these things. Hope that helps. If you have any other questions let me know. Thanks for reading and for the comment. Let me start with a disclaimer that I am not a CPA so you should consult with one before acting on any of the below. With that being said I will do my best to point you in the right direction. Now let’s talk about the real estate piece for a moment. My understanding is the same as yours that as long as it is earned by a non professional, rental income is considered passive and therefore not subject to self employment tax. My understanding is that you are also correct that rental income cannot be sheltered in a solo 401K or any similar account because it is not considered earned income. What I do not know however is at what point (if any) you could reclassify some of your rental income as earned income. I am out of my depth here but I would assume that the rental income large property management companies earn on their property does not prevent them from paying some of those earnings out as a salary to themselves and their staff, and then shelting some of that salary in a tax advantaged account. My suspicion however is that you would likely have to be classified as a professional in order to have rental property income reclassified as earned income. Hope that helps if you find out any addiitonal info on this I would appreciate you coming back and sharing it as I am curious to know more as well. I am looking to form an LLC to buy a rental property. My intention was to form the legal barrier to protect my home and other assets from the rental business. As I understand, the LLC is a pass-thru, and aside from the LLC cost itself and paperwork extras each year, the tax effect is zero. Same bill either way. I see the reference to SE tax. Since Rental property for a non-professional is passive, I assume this means that SE doesn’t apply. If the structure of the LLC and ‘paying myself a salary’ once the LLC is profitable, turns some profit to earned income, this might add SE, but also the potential to use a Solo 401(k) to shelter some income. This usually isn’t the case with real estate. I am I’m not confusing the issue here.